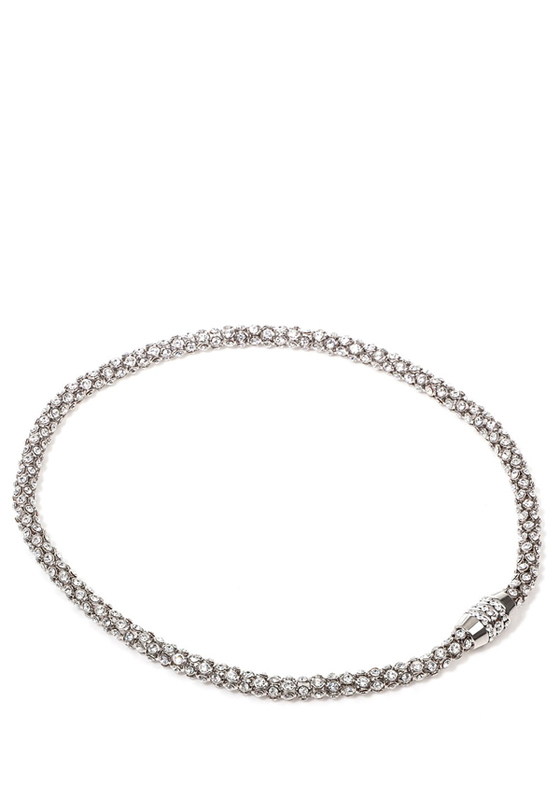 A show stopping necklace from NOUR London, it features clear crystals, set in a silver tone metal. 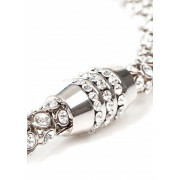 The ultimate bling accessory! 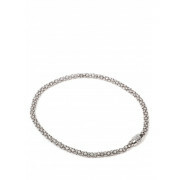 45cm from end to end, the necklace fastens securely with a magnetic barrel clasp - one end pulls out and locks into the silver tone magnetic device. Matching bracelet available.